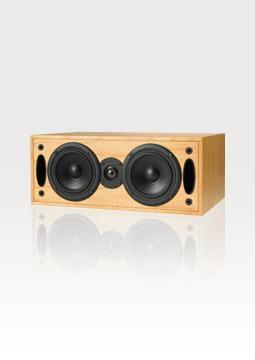 The Graphix centre channel will deliver precise timbral matching to the Acoustix main speakers. The same tweeter used in the Acoustix, Apex, Phoenix and Harmonix floorstanders means the Graphix can be used with a wide range of Krix products. Small and compact, the Graphix is the perfect choice for use in TV cabinets and custom joinery and the dual front ports eliminate 'boomy' bass qualities found when using rear ported speakers in this type of application. The Graphix delivers an acoustically intricate experience every time. The Krix?s tonal balance was dead neutral and combined with the very detailed tweeter makes for dialogue that is totally intelligible. Our in-house centre channel speaker is from a respected audio specialist and is quite small; we use such a small centre due to practical placement reasons. When we swapped to the Graphix it became immediately obvious that the Krix was far superior in reproducing delicate low-level detail, clear and natural dialogue and dynamic impact that was previously obscured and buried in the mix with our centre (time for an upgrade).